The conference will be held at the Alandica Culture & Congress Centre (please visit www.alandica.ax) in Mariehamn, the capital and largest city in the Baltic Sea archipelago of the Åland Islands. For lodging we have reserved a sufficient number of rooms at Hotel Arkipelag and at Park Alandia Hotel. Rooms at these hotels may be reserved in connection with the conference registration and the reservations will be made on a first-come, first-serviced basis. 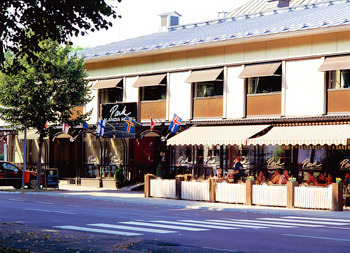 Hotel Arkipelag is situated across the street from the conference facilities. Fees: Single room 110 €/night, double room 140 €/night. Park Alandia Hotel is situated in a five-minute walking distance from the conference facilities. Fees: Single room 75 €/night, double room 78 €/night. All accommodation costs are paid directly to the hotel upon departure.